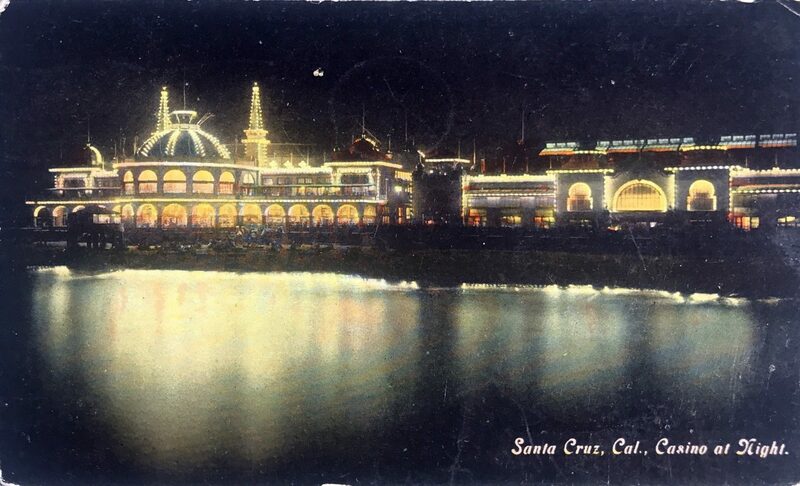 Beautiful, 100+ year old shot of the Santa Cruz Beach Boardwalk Casino, reflecting off the water at night. I can imagine a mother, stamping a sending this card off with her daughter. 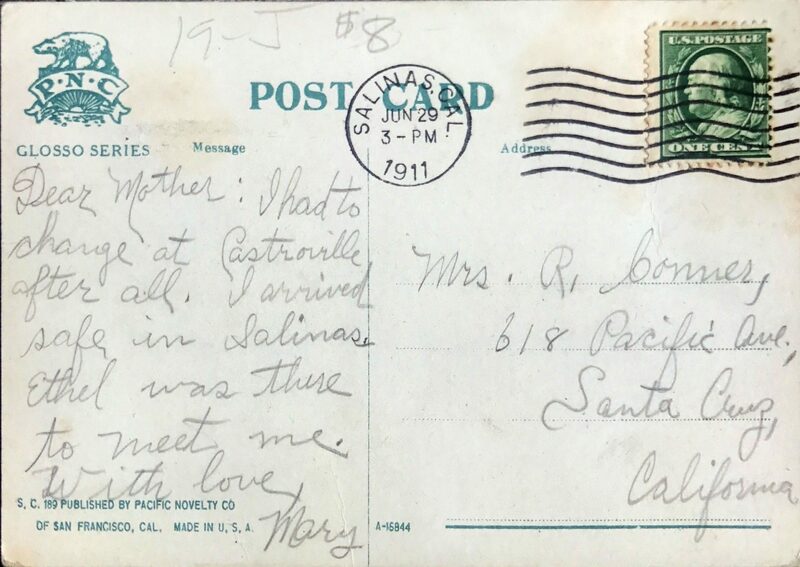 Concerned about the long distance trip and two trains it will take to get all the way to Salinas, eagerly awaiting the post card’s return to Santa Cruz announcing that everything was just fine.